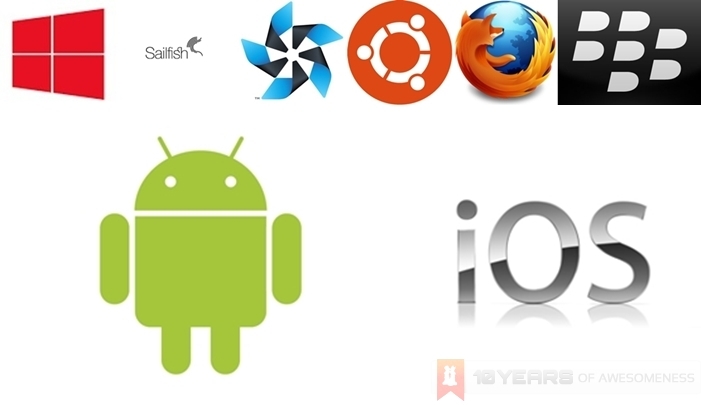 The Alternative Mobile Operating System: Can it Change the Mobile Landscape? Disruptive technology is becoming the buzz word in the mobile industry these days. 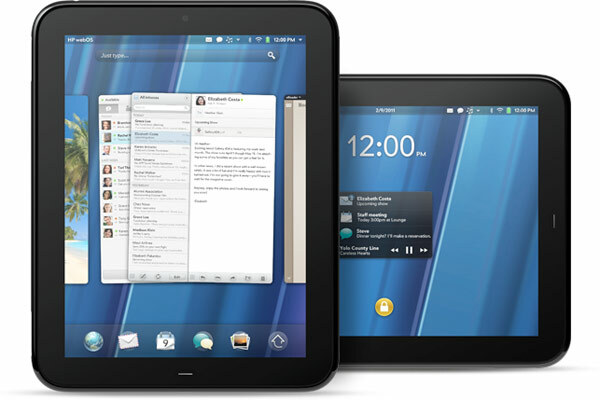 Smart devices such as the HP TouchPad running on WebOS, RIM’s BlackBerry Playbook with its QNX-based BlackBerry Tablet OS, to Nokia’s MeeGo-based N9 and even the 808 PureView…they were never going to pose a direct threat to the status quo of the iPhones and Samsung Galaxys in the market. But these disruptive devices served a more…noble purpose: a proof of concept that viable alternatives can, in fact, exist. To the mainstream consumer, these disruptive devices offer nothing more than an interested but quick hands-on at the local tech store. They’re not something we’d seriously consider to be our daily driver; not when most of us are already too invested into either iOS or Android anyway. Why jump from a stable and mature platform to an unknown entity with potential? The disadvantages are obvious: less-than-perfect software with random crashes and bugs, as well as a lack of genuine support from companies who developed them. Further, the app ecosystem for the platforms is effectively non-existent. Despite the quirks and even advantages that some of these platforms offer, the iOS-Android duopoly proved too strong to overcome, and they were eventually abandoned in one way or another. It appears that there is no way to compete with the juggernauts that are Android and iOS. However, recent developments indicate that there may be a change in the horizon. And if it actually happens, we may be looking at a totally different landscape in the mobile operating system scene by this time next year. For years, we have seen the rise of Android as the world’s leading mobile OS. Together with Apple’s iOS, these two operating systems power just about every smartphone that is released these days. In fact, a recent report stated that together, Android and iOS devices made up 92% of all smartphone sales in Q4 of 2012. This duopoly is hardly surprising: the Apple brand has amazing customer retention, while Samsung made sensationally popular Android devices in the Galaxy SIII and Galaxy Note II in 2012. Yet, from the positive response of disruptive devices such as the WebOS-running HP Pre 3 and HP TouchPad, and more recently the only MeeGo consumer device, the Nokia N9, it appears as if there is indeed a market for a third mobile operating system. Interestingly, in the current mobile landscape, this third mobile OS – based on the Q4 2012 global smartphone sales by Gartner Research – would be… BlackBerry 7. Smartphones running on BB7 sold over 7.3 million units that quarter, earning about 3.5% market share. Despite Microsoft and Nokia’s best efforts, Windows Phone devices sold more than a million units less than BlackBerrys, and earned only 3% of market share that quarter. We also knew sometime back that Symbian is now officially no more; Nokia confirmed that the 808 PureView was the last Symbian device. Windows Phone 8, for all of Microsoft’s might, has not sparked interest the way that the company had hoped for. The race to be the third mobile operating system is well and truly up for grabs…and chances are, it will be an entirely new mobile operating system. With 92% market share gobbled up by the duopoly that is Android and iOS, why is there even a race for third place? And, more interestingly, why now? If Windows Phone 8 is to be an indication, isn’t it a classic case of too little, too late? Not at all. In fact, there is a huge upside to be seen in smartphone usage over the next three years. Mobile industry consultant Tomi Ahonen stated that in 2012, only about 700 million out of the 1.8 billion handsets sold last year were smartphones. This year, he predicts smartphone sales closer to the 1 billion mark, with many to come from first-time smartphone users (as what Google and Nokia separately refer to as “the next billion” users from emerging markets) who, crucially, are not tied to any platform. Jussi Hurmola, co-founder of Jolla Mobile, concurs. “There’s lots of pull from the market to have an alternative,” he says, referring to both the consumer and developer. Hurmola was formerly one of the key members of the MeeGo project at Nokia, before the entire team was disbanded in July 2012. Having been an integral part of MeeGo, he described that MeeGo was “big” both with the carriers and developers before it was discontinued by Nokia in favour of Windows Phone. 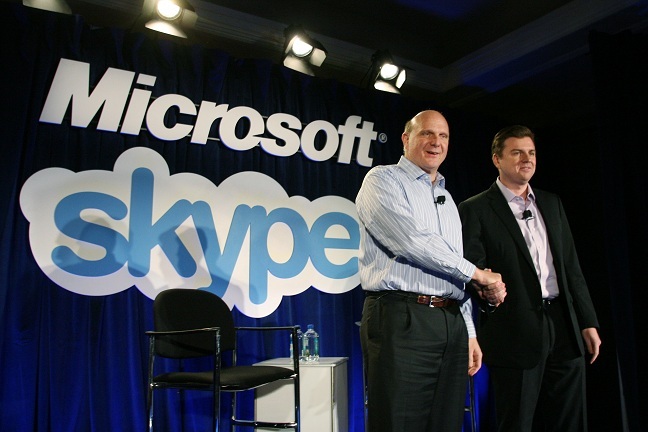 Speaking of which, one of the key reasons for Windows Phone’s rather cold public interest was due to Microsoft’s purchase of Skype, the popular instant messaging and calls app. Skype’s voice calling feature directly interfere with carriers’ primary service – and offers the service at a lower cost, making Skype a carrier’s nightmare. As a result, many carriers are hesitant to include Windows Phone devices into their plans for a very realistic fear of losses in revenue. It is an issue that has plagued the platform as far back as May 2012, when Nokia CEO Stephen Elop admitted to Nokia board members that carriers do not like Skype, and not a simple matter of the platform not being competitive enough to challenge Android and iOS. On the other hand, both WebOS and especially MeeGo proved that the mobile consumer is ready for a radically new way of interacting with a smartphone. Dell’s failure with the 5-inch Streak smartphone in 2010 lies in stark contrast to the spectacular success of today’s so-called “phablets”, proving that timing is everything. The concept of a “home” button, first introduced by Apple with the original iPhone, is now more than five years old. MeeGo-Harmattan’s gesture-based user interface (UI) on the Nokia N9 negated the need for any navigational buttons in 2011, and it proved to be a hit both among critics and the general public. Today, we’re seeing no less than three new mobile OSes with gesture-based UIs, which gives rise to the argument that today’s mobile consumer is ready for a change. In addition, for the first time in years, there appears to be chinks in both Android and iOS’ armours. The iPhone, long heralded by consumers to be the perfect example of mobile innovation, appears to have had a stagnation of sorts with the iPhone 5. Scratchgate, purple flaring and Maps debacles aside, the main issue that perhaps further accentuated the iPhone 5’s flaws was probably the fact that the new flagship device did not bring about exciting new features and even accused of “skimping on innovation” that has become something of a hallmark of the company – especially during the time of the late Steve Jobs. Compare that to Google’s Android, whose Project Butter on version 4.1 of the world’s most popular mobile operating system finally fixed – for the most part – the inconsistent framerates plaguing the UI. On the other hand, Android faces an issue far greater than UI framerates: fragmentation due to the open-sourced nature of the operating system. This fragmentation has seen a minimum of three official mobile operating systems that are unofficially forked from Android. Google is obviously concerned with fragmentation on Android, since these “Android-like” systems interfere with the “consistent experience” of the Android ecosystem, not to mention potentially harming the company’s iron grip it has on the industry with Android. The company even went as far as tweaking the Android Software Development Kit’s (SDK) terms of service with a “non-fragmentation agreement” clause, which brings doubt to Google’s promise of an “open and free” Android. Therefore, the opportunity is there and the timing is perfect for an upstart to force its way up the volatile mobile industry: a David among two Goliaths. As mentioned earlier, Jolla Mobile has taken the MeeGo torch upon itself and interacted heavily with MeeGo community projects Mer and Nemo to create Sailfish, with a similar gesture-based UI called Jolla UI. Sailfish carries forward all that is good from MeeGo-Harmattan, and builds on it with new features, as shown here. The company is fully aware of the enormity of challenging for third spot in the mobile OS race, and has ensured it has the necessary weapons to prepare itself. It secured deals with one of China’s largest retailers (D.Mobile), Finland carrier DNA, as well as chipmakers ST-Ericsson. More recently, Chinese company Zopo has announced that it will release a Sailfish-running smartphone for the Indian market – the world’s second fastest growing smartphone market after China. Hence, Jolla appears to already have a foot in two of the world’s largest smartphone markets even before it has launched its first device. Jolla is not the only company attempting to revive MeeGo, which was originally a partnership between Nokia and Intel. Shortly after Nokia’s unceremonious dumping of the MeeGo project, Intel immediately went in search of a new partner, who came in the form of Korean giants Samsung. The world’s top-selling smartphone brand took on the MeeGo project, merged it with the company’s bada OS efforts and renamed it Tizen, with the hope that Tizen can allow Samsung to leverage itself against relying too much on Android. Very little has been heard of Tizen since, and Samsung pleasantly surprised the world recently when the company announced that Tizen smartphones will be released beginning this year. Interestingly, there is yet another new mobile OS with a Linux heart, just like Android, Sailfish and Tizen. Canonical surprised the world soon after New Year’s with the company’s announcement of Ubuntu Phone OS. Sharing the same set of code as the desktop Ubuntu OS, the company relies on the old principle of mobile devices being extensions to a desktop. Canonical even claims that when hooked to a monitor, keyboard and mouse, a high end smartphone running Ubuntu transforms into a desktop – a feature Canonical calls “desktop convergence“. 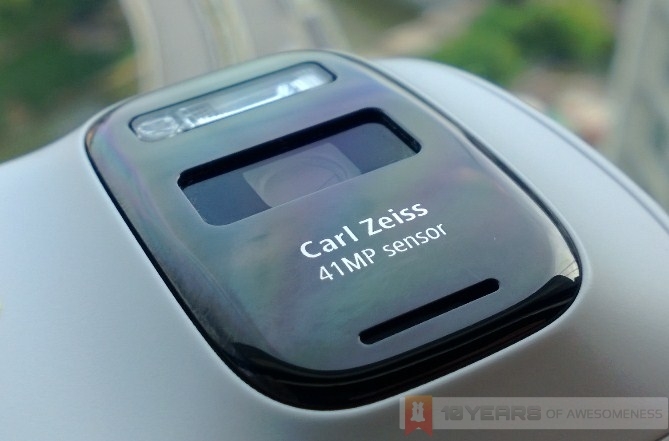 Unfortunately, their strategy timeline seems rather slow: the company expects to announce its first device only in 2014. However, a bootable image of the OS will be available later this month for interested parties…but only for the Samsung Galaxy Nexus. The company also recently announced that we will see the first Ubuntu smartphone in October, instead of the original 2014 timeframe. Mozilla, on the other hand, seeks to enter the mobile OS war in a totally different approach. With almost all its competitors having a Linux core, Mozilla is toying with the idea of a full HTML5-based operating system – much like HP’s WebOS effort. With web apps taking the place of native apps, Firefox OS (previously known as Boot2Gecko) aims to deliver a user experience that is not tightly bound to the hardware that runs it – making it an interesting platform for emerging markets. The first developer devices have already popped up, and Mozilla also has OEM partnerships which will see more companies using Firefox OS. ZTE has already announced that it will unveil its first Firefox OS phone at this month’s Mobile World Congress. 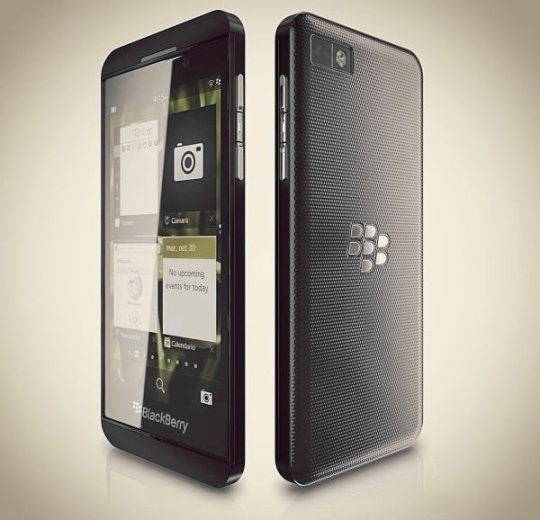 Finally, we have BlackBerry 10, the first of the alternative mobile OS to be unveiled this year. It’s been a tough road for BlackBerry, what with its rapid decline in market share and even its legendary “business professional’s choice” title in jeopardy. The next-gen OS from the company certainly took its time to launch, but it is finally here. Featuring a UI that is very heavy on gestures, some are already comparing BB10 to MeeGo-Harmattan, but BlackBerry’s also managed to add in more than what the abandoned platform offered, such as the powerful BlackBerry Hub. However, just like how MeeGo-Harmattan needed a quick navigational learning curve, BB10 is a tad more complicated due to the gesture-heavy UI and a market used to navigational buttons, as the video below shows. On the other hand, gesture-based UIs look set to be the next big thing for the mobile user experience, so BlackBerry’s already got a leg up with BB10. Plus, it’s already got two devices announced, while there are no consumer devices anywhere to be found from the other alternative platforms. With so much at stake, one would imagine that each platform – just like Android and iOS before them – would keep their cards close to their chests and maintain some measure of distance between them. However, last month something unprecedented happened. Developers from Canonical, Jolla and KDE (the developers behind Plasma Active) discussed, via IRC no less, about their platforms and emerged with an agreement unprecedented among mobile OS competitors. Ubuntu Phone, Sailfish and Plasma Active’s interface design are all written on Qt5’s QML, but are incompatible between them. Interestingly, even BlackBerry 10’s Cascades toolkit for UI design is based on QML. As a result, developers from Ubuntu, Sailfish, Plasma Active and BlackBerry 10 agreed to attempt to compile shared or common APIs (application programming interface) for all four platforms, bringing an intriguing form of compatibility between them. Such an agreement between “competitors” has probably never been seen before in the mobile industry, but it highlights yet again the change sweeping across the industry. Also, this alliance of sorts serves to show the enormous effort it takes of challenging to be a viable alternative mobile platform – sometimes, you can’t do it alone. * What is Qt and QML? Qt is a cross-platform development framework developed in 1992, and previously owned by Nokia. Originally, it was to be the “bridge” that allows for easy app porting from Symbian to Harmattan as the company shifted to MeeGo as its mobile platform of choice. Unfortunately, when Nokia aligned with Microsoft, that all went out the window (no pun intended). However, Qt remains a favourite among developers. QML, on the other hand, is the programming language used in Qt. What’s the big deal about shared APIs? For the developer, this is a step closer to the “holy grail of the mobile space“: an open and vendor-neutral application development strategy. One key benefit of shared APIs between platforms for developers is that an app written for one platform can run natively on another platform, which increases the market scope for the app as well as eliminating the hassle of rewriting the same app for a non-compatible platform. A commonality in components also means that a developer could collaborate and coordinate with developers from other platforms for more “congenial competition” – perfectly upholding the virtues of open-source software. Suddenly, it is no longer a poker game, but a jigsaw puzzle to be solved together. For the consumer, the key benefit is largely this: apps that run natively across platforms. If the developers succeed with compiling shared APIs for all the platforms above, an app written and packaged for BlackBerry 10, for example, can be installed and run natively on Sailfish, Ubuntu and Plasma Active and vice versa. In an instant, this eliminates the small app ecosystem that plagues a new platform, increasing the attractiveness of that platform for new users. Cross-platform compatibility is also something the developers of Jolla and BB10 are seriously looking at. Not between the two platforms, but instead with Android and its hundreds of thousands of apps. Already on Sailfish there is a working compatibility layer that allows Android apps to run without any modification to the source code (the company encourages porting the app to make use of Jolla UI’s features, though). Perhaps it is for this reason that Jolla’s Sailfish OS is the alternative platform that the public would like to try out the most, according to a survey by TechWeekEurope. BlackBerry 10 also has some form of compatibility with Android, despite its QNX core. BB10 has an Android runtime environment based on Android 2.3.3 Gingerbread, which allows for quick porting of apps from Android to BB10. The BlackBerry Jam developer events have also seen developers sideloading Android apps on BB10. In addition, the company has announced at the latest BBJam event in Amsterdam that it is already planning on updating the runtime environment to Android 4.1 Jelly Bean, which would mean better performing Android ports on BB10. 2013 has already seen the rise of the five-inch 1080p Android phablets. This year will also mark the start of the “alternative” mobile OS. With iOS’ sudden shakiness and even the market looking for something new, there is no better time for an alternative mobile OS to really take off. With truly innovative gesture-based user interfaces found in some of these new platforms, there is a lot going for these platforms to surprise. It may not signal a changing of the guard, but it very well shows that Android and iOS are not as untouchable as they used to be. At BlackBerry 10’s unveiling last week, CEO Thorsten Heins said that “today is just the starting line.” He may have been talking about his company’s next-gen platform, but the words ring perfectly true for the entire mobile landscape.